(Verso print) in ink, in a later unknown hand: "LA 226"; (Verso print) in pencil, in a later unknown hand: "GA 1357" & "162". 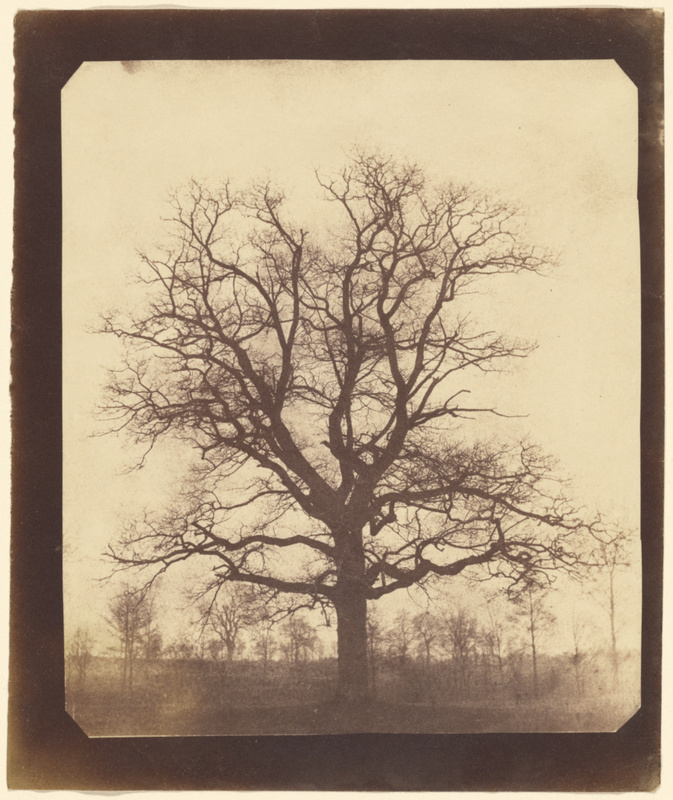 William Henry Fox Talbot's image of a graceful and heroic oak tree, one of the first images to be fixed with a "hypo" solution, represents a pivotal development in the history of photography. In 1839 Talbot made public his process for fixing images on paper treated with silver chloride. He fixed his original images, however, with a salt that did not actually remove the silver chloride, leaving the image unstable and still sensitive to light. In 1841, the year this picture was taken, he began printing more stable images by using a fixing agent called "hypo," which thoroughly removed the silver chloride. Although the fuzziness of Talbot's first prints made his images in some ways less pleasing than the exactness of a daguerreotype, the process did allow multiple positive images to be created from a single negative. In this regard, Talbot's discoveries represent the origin of modern photography.